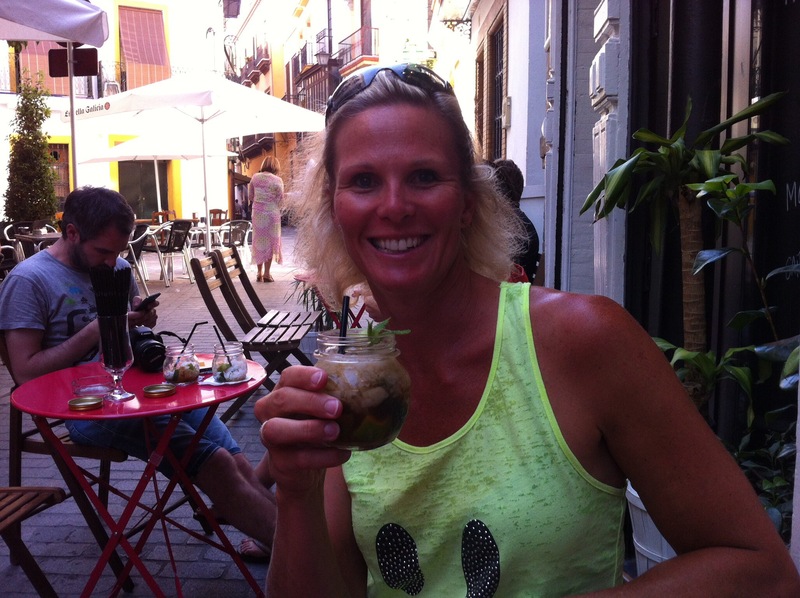 We had heard from a few of the locals in the Algarve that Seville in neighbouring Spain was worth a visit so we decided to take a road trip. It is about two and a half hours from where we are staying in the Algarve. I had looked at the weather forecast and it said it was going to be 38 degrees – I thought that can’t be right but it sure was. Wow it was warm and hit 40 degrees at 5.40pm when we were sitting having a drink. 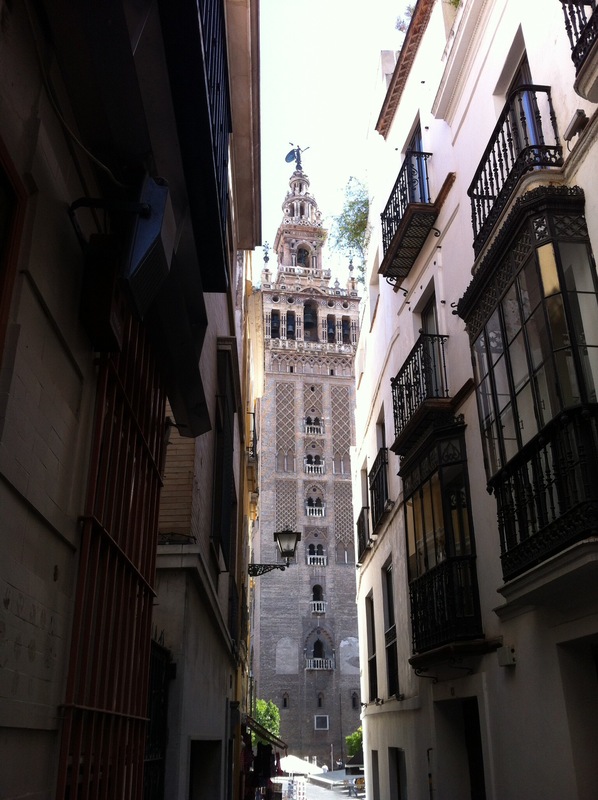 Seville has a hot Mediterranean climate with an annual average temperature of 25 degrees during the day and 13 degrees at night. 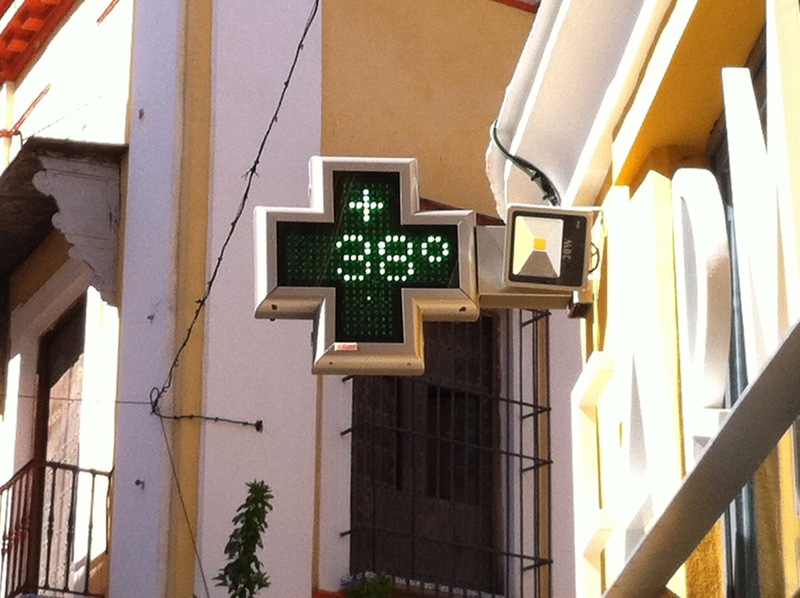 After the city of Cordoba it has the hottest summer in continental Europe among cities with a population over 100,000. In July it has an average daily temperature of 35 degrees. 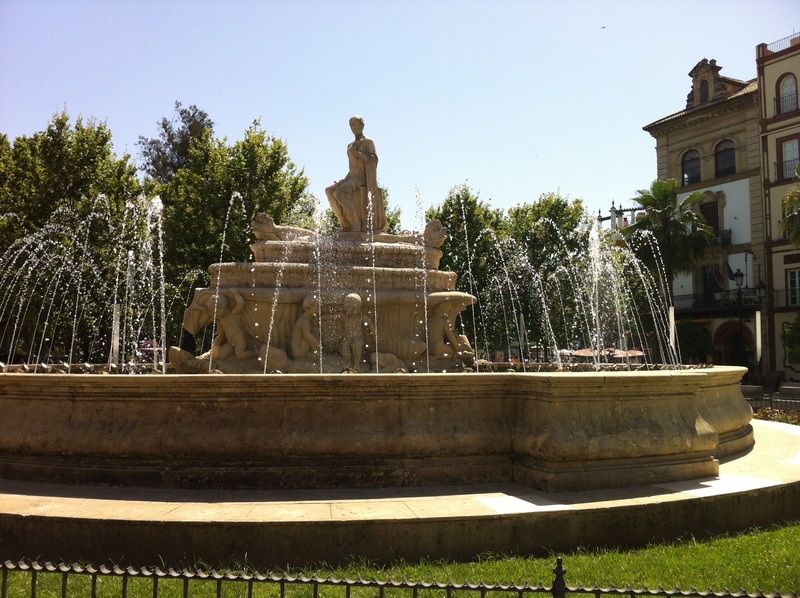 We were talking to some people who said that it is 10 degrees warmer at this time of the year than normal in Seville. We crossed the border and lost an hour – Spain is an hour in front of Portugal. We found the hotel easily enough but the old town is a warren of one way streets. We got the car parked, checked in and went off exploring. It sure is a beautiful city. We did a river cruise for an hour and learnt about the key landmarks around the city. Tapas is the food of choice here and there are so many little tapas bars. We went to the other side of the river for lunch and met some Americans who told us where to get good tapas and they were right. 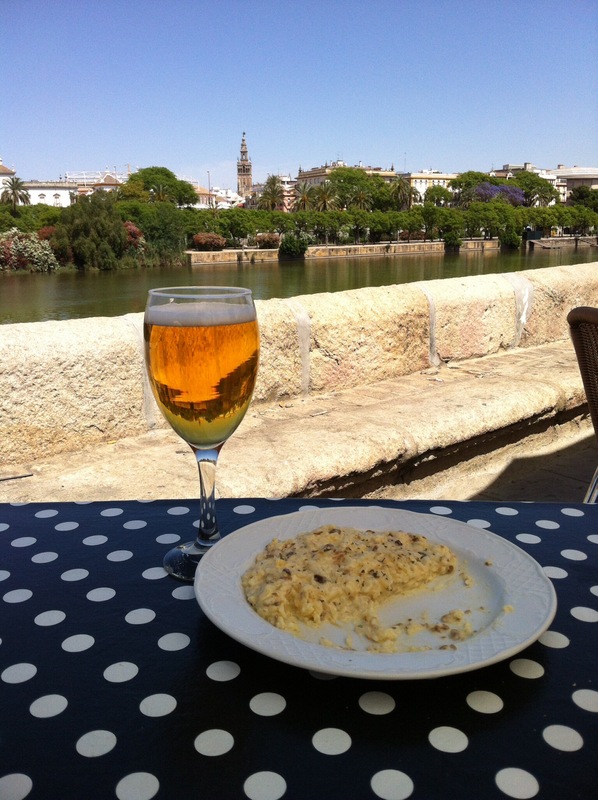 We had lunch at Noninas and it was great – sitting on the rivers edge looking back across at the spire of the cathedral. We then set off exploring again – there is so much to see. 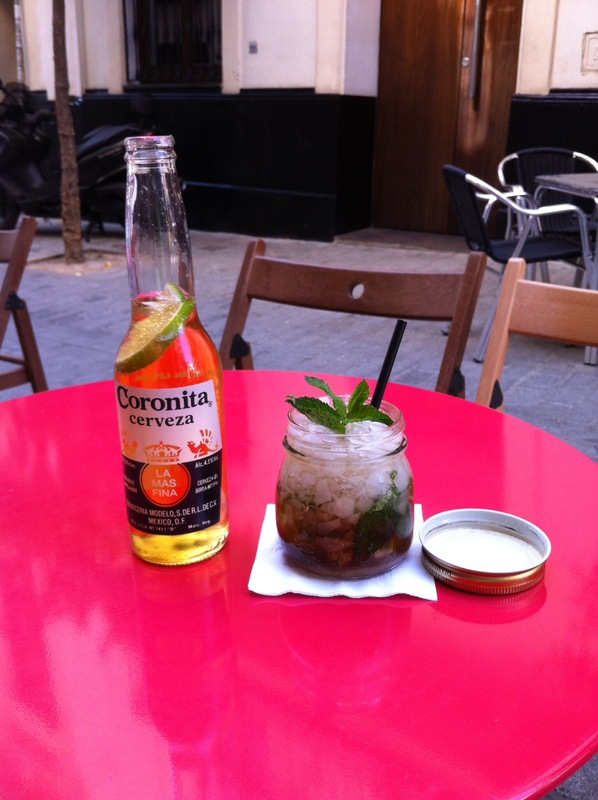 After all that sight seeing we had worked up a thirst and what do you know – happy hour at one of the bars beckoned us in. 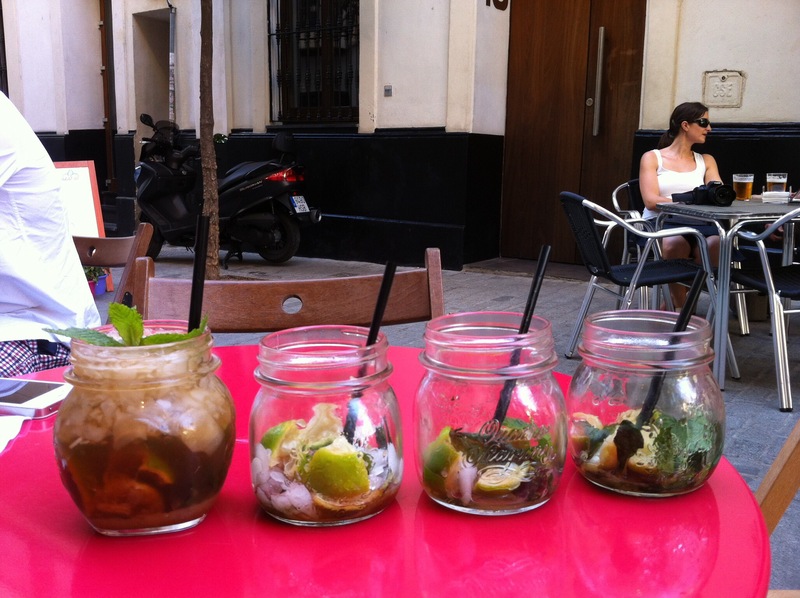 One mojito, two mojito, three mojito, four! Oh dear – they were the second best mojito’s I have had by a whisker – the first being at the Chedi in Chiang Mai. We got talking to some more Americans from Nashville in Tennessee – they were on their honeymoon. Anyway the Minister of Tourism and his faithful assistant convinced them that their next trip should be to NZ. Email addresses exchanged so watch this space. We came back to the hotel to check out the restaurant on the roof – it was 9pm and the sun was just setting. Up on the roof you could see all over Seville as well as the whole of the Cathedral. 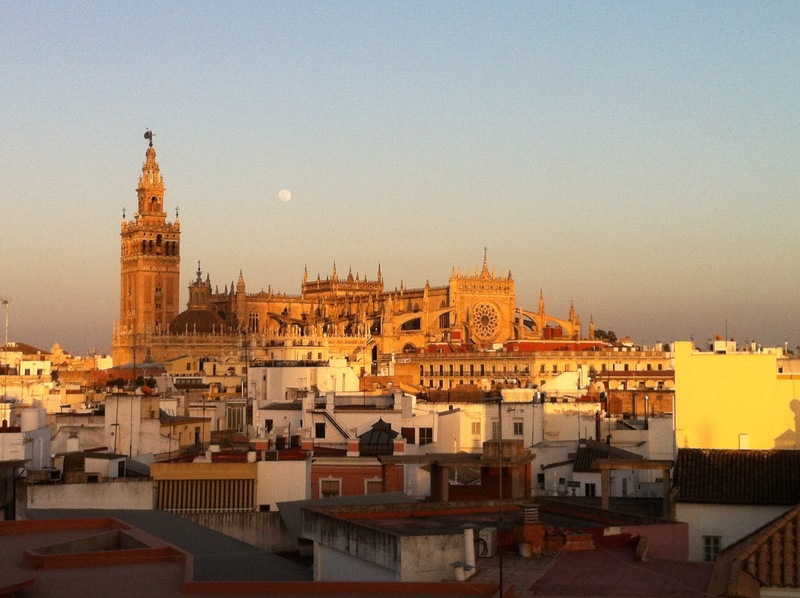 Seville (Sevilla – the spanish pronunciation) is a city in Spain. It is the capital and largest city of the autonomous community of Andalusia. It is situated on the plain of the River Guadalquivir. The city has a population of 703,000 with the municipal population being about 1.5 million. It is the fourth largest city in Spain. The old town contains 3 UNESCO world heritage sites the Alcazar Palace, the Cathedral and the General Archive of the Indies. 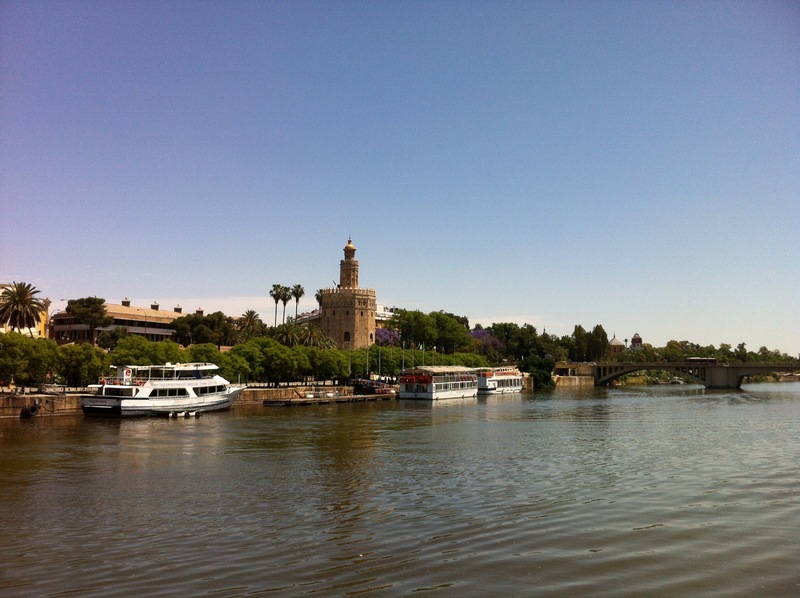 The Seville Harbour is located about 80km from the Atlantic Ocean and is Spain’s only river port. 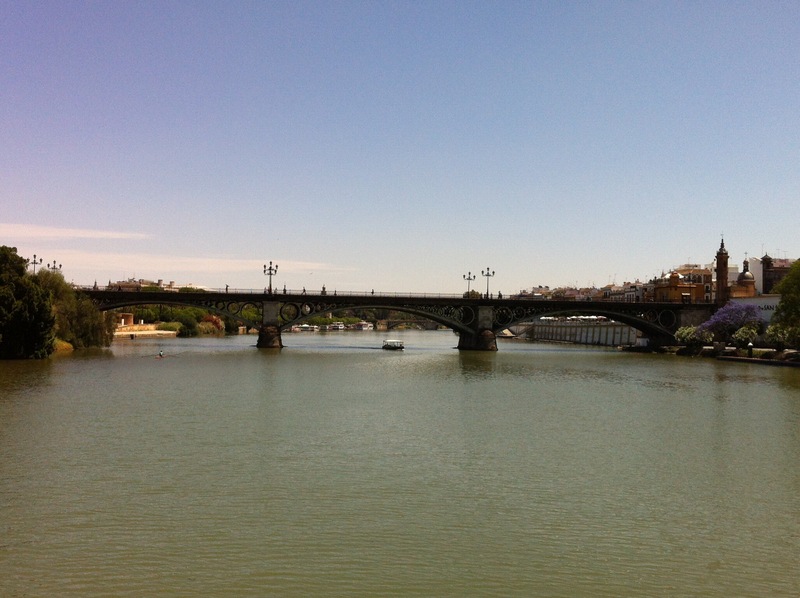 The river is 650km in length and is one of Spain’s most important rivers. 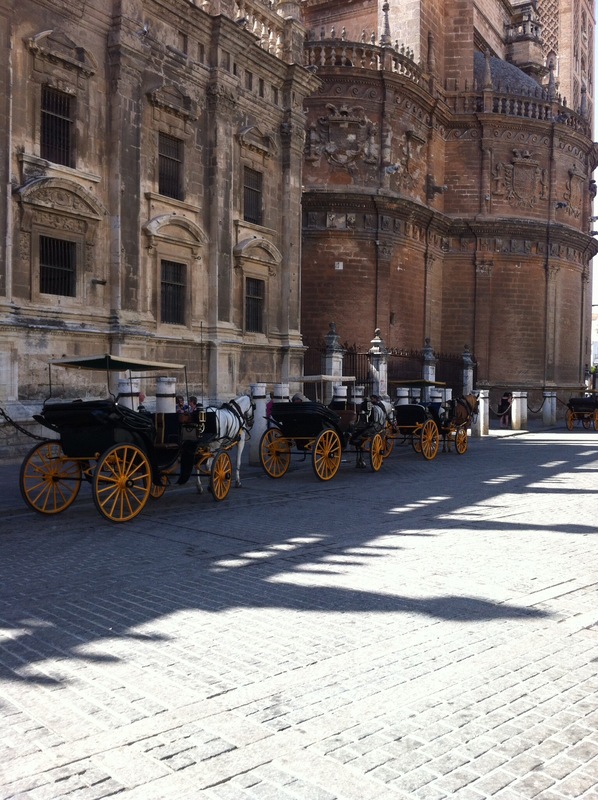 Seville itself is set in the heart of the fertile river valley while many of the provinces most significant settlements are scattered around the gently rolling river plain known as La Campina, planted with patchwork fields of wheat and olive groves. Historically this area was largely in the hands of a few wealthy landowners and today the land is still divided up into huge farm estates.